Nixon stemmed from a frustration at a lack of quality watches that simultaneously “do the talking for you”. Since 1998, Nixon has grown into a group of athletes, rock stars, retailers, and dedicated loyalists that bring Nixon products to market. Nixon brings delivers products that meet the needs of various high-stress work and play environments. With offices in Southern California, Europe, Australia and Asia, Nixon creates accessories to reflect experiences from each corner of the globe. 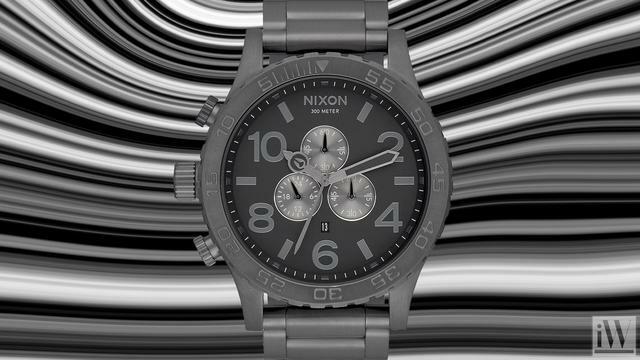 iW Magazine's Watch of the Day is the Nixon 51-30 Chrono.